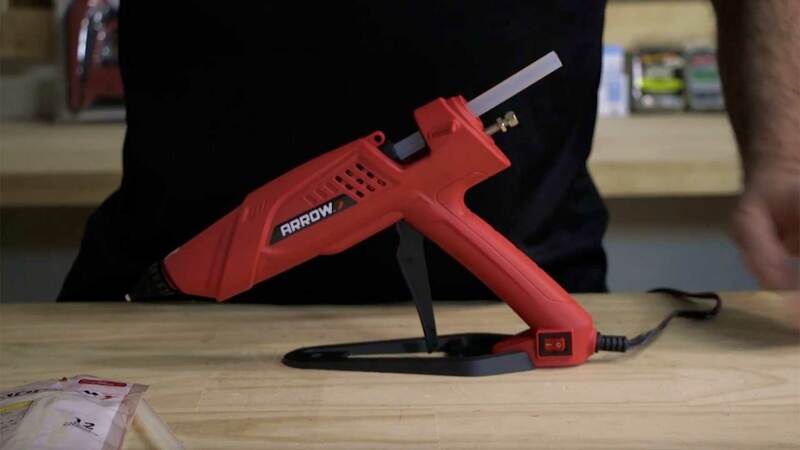 The Arrow high temp glue gun is a heavy-duty, durable glue gun that offers the precision necessary for both Pro applications and DIY home repair. 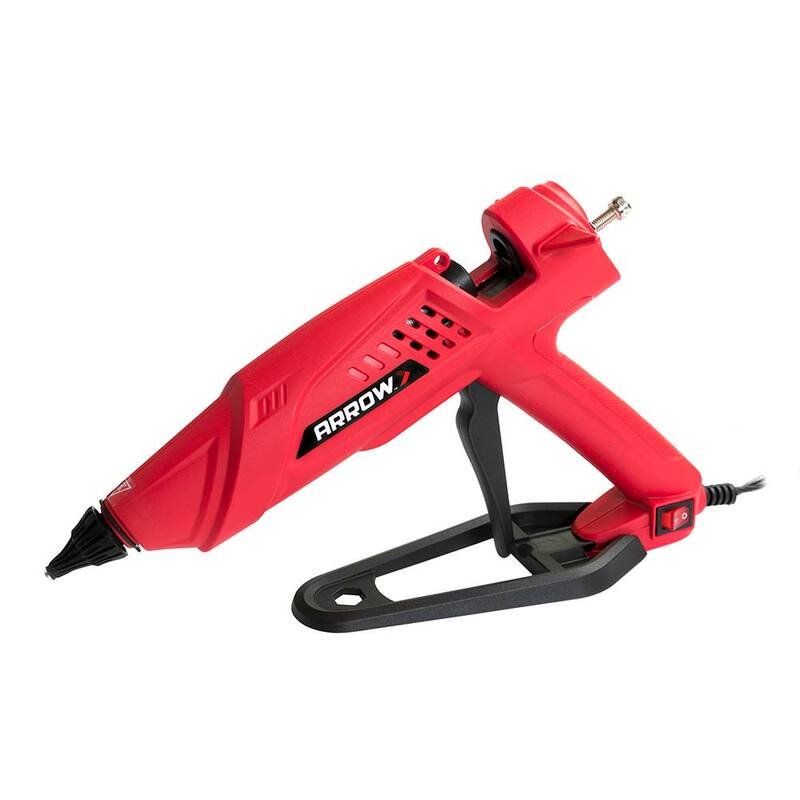 The 300W high temp glue gun heats up fast and offers the ultimate in glue control with the combination of its drip-resistant nozzle and precision glue control adjustment knob, making it easy to place small dots or smooth lines with accuracy. Ergonomically designed for convenience and control, the tool is lightweight with an easy-to-pull oversized trigger. 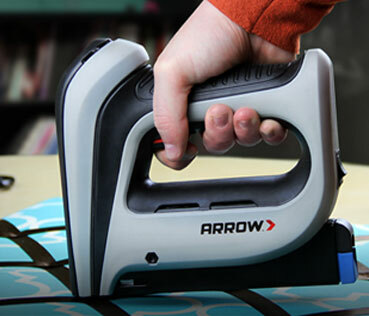 The glue gun’s extended nose design helps with hard-to-reach corners or when a little extra reach is needed in a tight work area, making it perfect for intricate upholstery projects to large general home repair projects. The GT300™ comes with a sturdy base stand and wing stands to prevent the chance of hot melt glue back flow or mishaps when placing the tool down during glue application.